A rapidly developing neighborhood in the heart of Boston such as Lovejoy Wharf certainly needs a local brewery—and it will get one. Night Shift Brewing is planning to open a second brewery, taproom, and a brand-new kitchen on Lovejoy Wharf later this year. Cofounder Mike Oxton confirms the location, after the company leaked the exciting expansion news last night. At a launch party Night Shift hosted at the Sinclair for its new cans of Nite Lite Lager, a displayed timeline declared 2018 the year it signed a lease in downtown Boston. Brewbound editor Chris Furnari tweeted a picture, which was picked up by a couple local blogs. The Night Shift brewpub will take over 12,000 square feet at 1 Lovejoy Wharf, underneath the Converse headquarters and right next door to cocktail connoisseur Tom Schlesinger-Guidelli’s forthcoming restaurant, Alcove. Night Shift started in 2012 in a smaller, low-frills space in Everett, before moving to Santilli Highway in 2014 and establishing a veritable “fermentation district” there. The company has been looking for a Boston proper location for two years, Oxton says. Not to mention it’s a location that’s more MBTA-accessible than their Everett location, which is a bit of a sketchy, 15-minute walk from the Wellington stop on the Orange line. Lovejoy Wharf is next to the TD Garden, and very close to the historic North End. The surrounding neighborhood is best known for divey sports bars, but in recent months, along with high-rise condos, it has a new taqueria from the Ward 8 owner, a new Tasty Burger, and more refreshed nightlife options, and it’s getting an outpost of Beverly’s beloved A&B Burgers. “The goal is to offer unique beers at both locations,” he says, but favorites like Santilli and Whirlpool will likely be available in the new space. 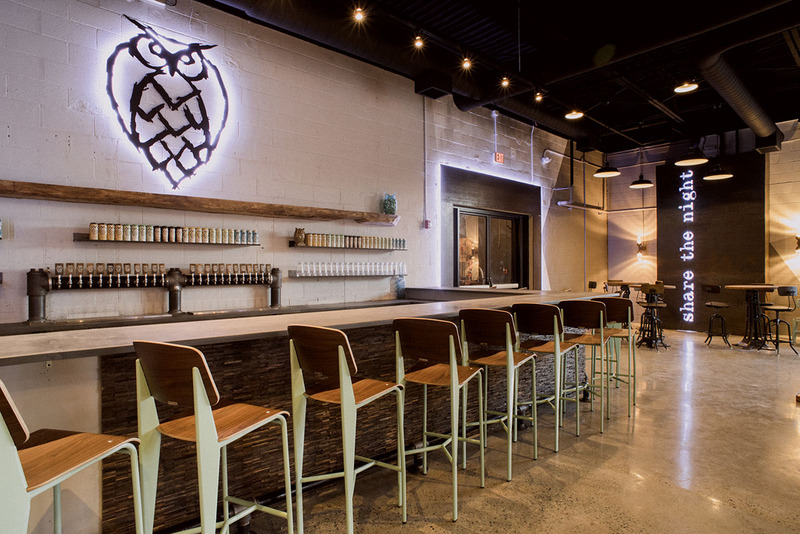 The reigning Best of Boston brewery, Night Shift has grown with a second taproom space in Everett, called the Annex; as well as a distribution company. Oxton is hoping the second Night Shift brewery and taproom will open by the end of 2018. Night Shift Brewing, coming to 1 Lovejoy Wharf in 2018; 87 Santilli Hwy., Everett, 617-294-4233, nightshiftbrewing.com.